Learn the difference between our resource-draining 'take, make, waste' linear systems and the progressive circular economy movement that is regenerative and sustainable. This is a short introductory class. 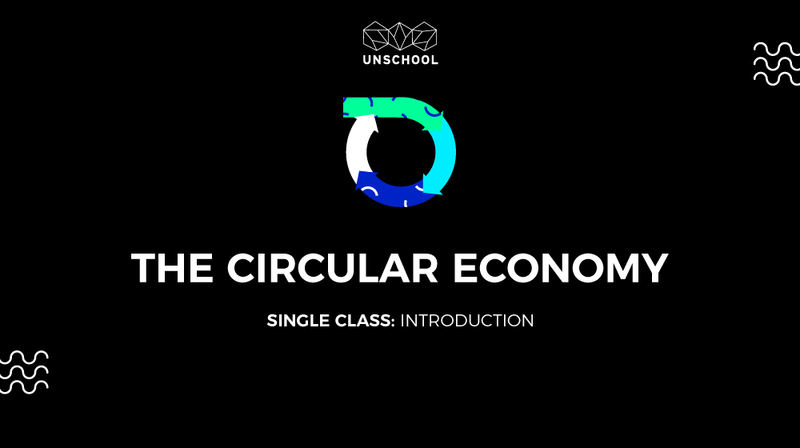 This introductory class, the first in the Circular Economy series, makes the case for changing the economic mechanisms within which we currently exist and shifting from high waste to high value goods and services. By the end, you will understand the difference between our existing, resource-draining linear systems and the circular systems needed for a regenerative, sustainable future. You’ll learn about both the Circular Economy model and movement and will gain insight into how governments, industries and individuals are shifting towards it. Gain insight into the differences between the circular economy and the linear system of production, consumption and then waste that has been the status quo since the industrial revolution. Breaking it down - What is the Circular Economy? Video: What is the Circular Economy? Since the birth of the industrial revolution humans have rapidly formed a ‘linear’ system of production, consumption and then waste. This resource intensive and waste filled system has many negative impacts on the planet and people, which is why the growing movement of the circular economy is appealing to so many governments, industry leaders and everyday people. The circular economy is a smarter and more effective way of producing things that humans needs that have value in the economy and that don't create so much waste, pollution, exploration and negative impacts. By taking this class you will get the 360 perspective of what the circular economy is, how it applies to different levels of decision making, all the theories and practices that go into making it work from biomimicry, cradle to cradle to sustainable design and product service system models. The class also includes case studies of pioneering industries shifting to the circular systems model of production and the ways in which you can help activate this progressive and powerful movement for a more sustainable and healthy future.